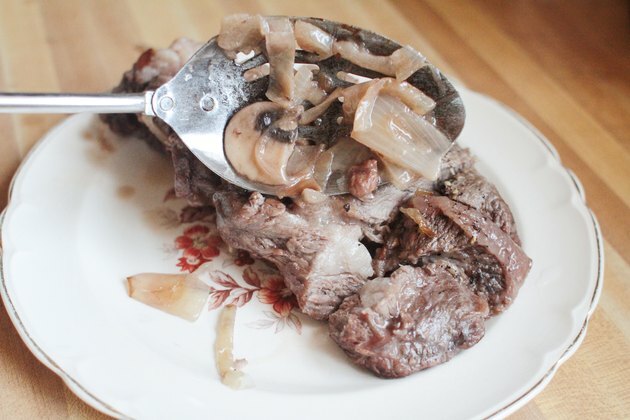 English cut beef chuck shoulder roast is a fatty and flavorful cut of meat. Because it is from the shoulder of the cow, it is tougher than some other cuts of meat and responds well to braising, or roasting in liquid. 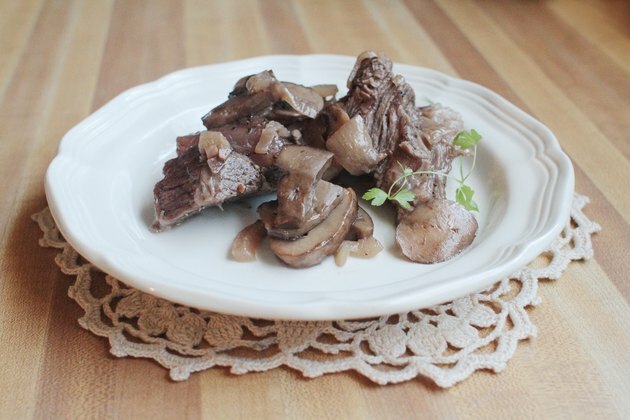 Cooking this meat in burgundy wine not only ads a rich flavor to the roast, the acidity of the wine also tenderizes the meat. The liquid in the bottom of the pan also makes a good accompaniment for finished roast. 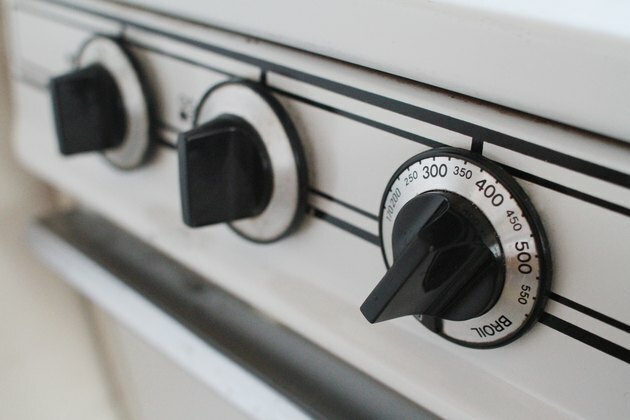 Heat the oven to 350 Fahrenheit. Heat one tablespoon of olive oil in a medium skillet. 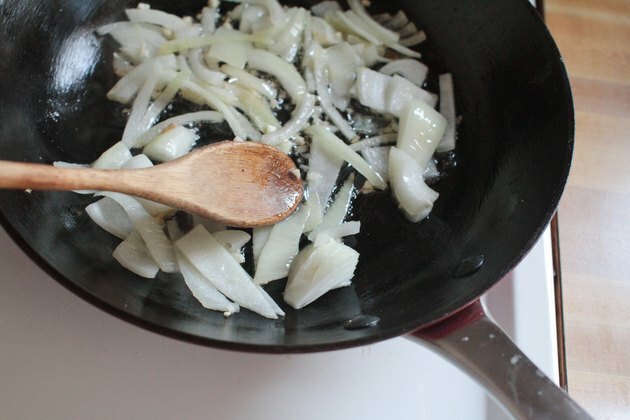 Sauté the garlic and onion until translucent. 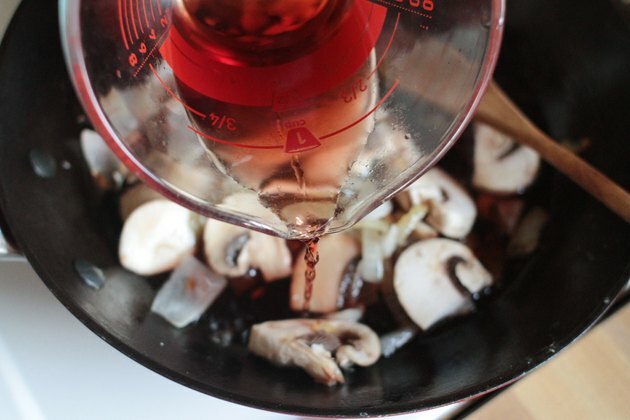 Stir in the button mushrooms, and sauté until the mushrooms soften. Add the wine and reduce the heat to low. Let the sauce simmer while you prepare the meat. Heat the cast iron Dutch oven to medium on the stove. Add the remaining olive oil to the pan. 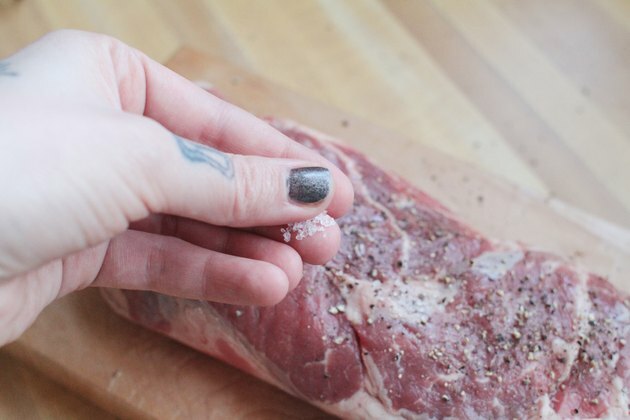 Sprinkle the salt and pepper onto the meat to taste. Put the meat in the Dutch oven and brown the meat on all sides. 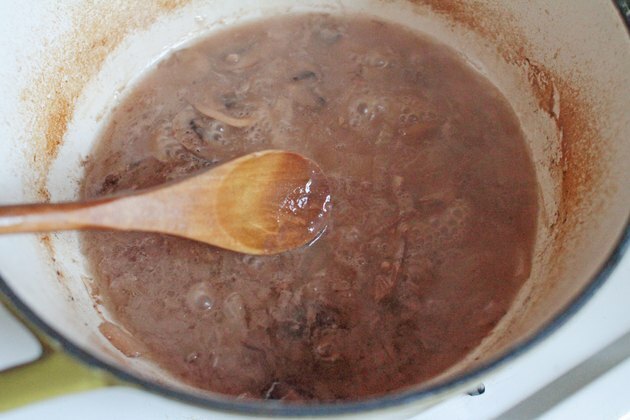 Reduce the heat to low and pour the sautéed onion and wine sauce into the Dutch oven. 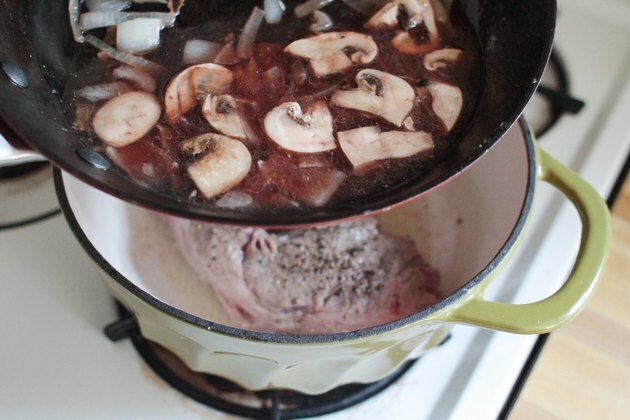 Put the Dutch oven in the oven and cook for two hours, or until the roast is tender enough to be cut with a fork. Put the Dutch oven back on the stove and transfer the meat to a serving platter. Let the meat rest for 10 to 20 minutes. Turn the burner under the Dutch oven to medium. 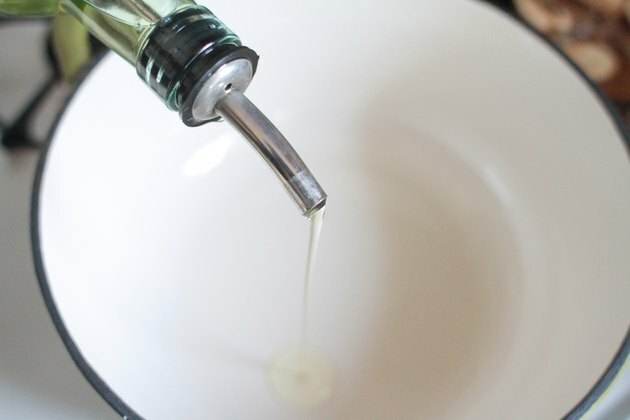 Skim as much fat as possible from the surface of the pan drippings. Let the juices simmer and reduce by half. 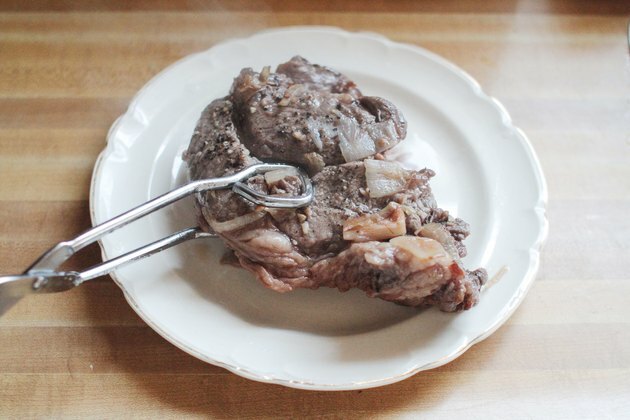 Slice the roast, spoon the pan drippings over the meat and serve.